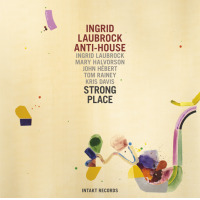 With Strong Place, New York-based German saxophonist Ingrid Laubrock moves one step further in cementing her place at the heart of the Big Apple's fertile Brooklyn scene. 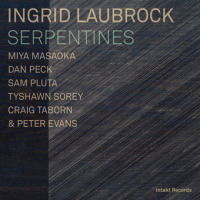 Already on a roll with her plangent contributions to a series of stunning music including Sleepthief's Madness of Crowds (Intakt, 2011), drummer Tom Rainey's Camino Cielo Echo (Intakt, 2012), Paradoxical Frog's Union (Clean Feed, 2012), reed iconoclast Anthony Braxton's Falling River Music and pianist Kris Davis' Capricorn Climber (Clean Feed, 2013), Laubrock lives up to the high standard she set herself with Anti-house's eponymous debut (Intakt, 2010). In that, she's aided by the same cast, but with Canadian pianist Davis now integrated full-time into the ensemble. Typically the German's charts avoid the obvious. Her convoluted thematic materials arise following an inscrutable inner logic, often juxtaposed with improvised elements, whether solo or group, as they intimate a tangled web of feelings, often within the space of a single number. Having such a talented array of leaders dedicated to breathing life into her involved arrangements means that what in other hands might seem obscure and cerebral becomes effortless and compelling. 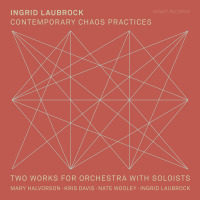 Canny arrangements ensure minimal overlap between Davis and guitarist Mary Halvorson, assisted by the latter's avoidance of chordal sequences as a pronounced trait in her distinctive armory. Instead of crowding, it just adds another layer of intrigue to proceedings. Each cut is full of unexpected twists and turns. As just one case in point, the appropriately named opener, "An Unfolding," features a droney start which establishes an edgy calm before switching to out-of-step march cadences, and spates of impassioned activity, with Laubrock's fluid jabbering soprano saxophone prominent, until the piece culminates in an ascending convergence between soprano and piano. Much of the credit for so assuredly navigating the switchbacks must go to Rainey's rhythmic wit and wisdom, which allows him to co-opt unusual textures into an organic flow that nonetheless resolutely avoids steady tempo. 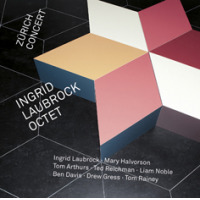 In this, he is expertly abetted by bassist John Hébert who stylishly supplies color and momentum. Extemporized introductions, such as the scratchy percussive guitar/piano exchange that opens the urgent Morse code of "From Farm Girl to Fabulous Vol. 1" or the sprightly guitar/bass duet at the outset of the tense uneasy title track shine the spotlight on the individual band members before they are subsumed in the leader's idiosyncratic conception. 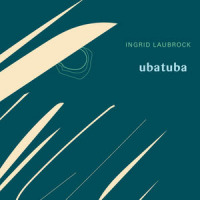 Even one of the most direct cuts, "Cup in a Teastorm," featuring a whistling- in-the-dark jauntiness and a Latin-tinged melody, drifts in and out of dissonance, befitting its dedicatee, saxophonist/composer Henry Threadgill. But it's unfair to pick out highlights as every nook and cranny on this wonderful record demands in depth appreciation and amply rewards the time spent. Track Listing: An Unfolding; Der Deichgraf; Count 'Em (for Richard Foreman); From Farm Girl to Fabulous Vol. 1; Alley Zen; Strong Place (for Emanuella); Cup in a Teastorm (for Henry Threadgill); Here's to Love. 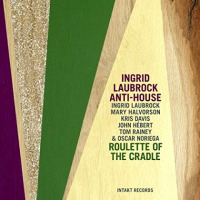 Personnel: Ingrid Laubrock: tenor, soprano saxophone; Mary Halvorson: guitar; Kris Davis: piano; John Hébert: bass; Tom Rainey: drums.